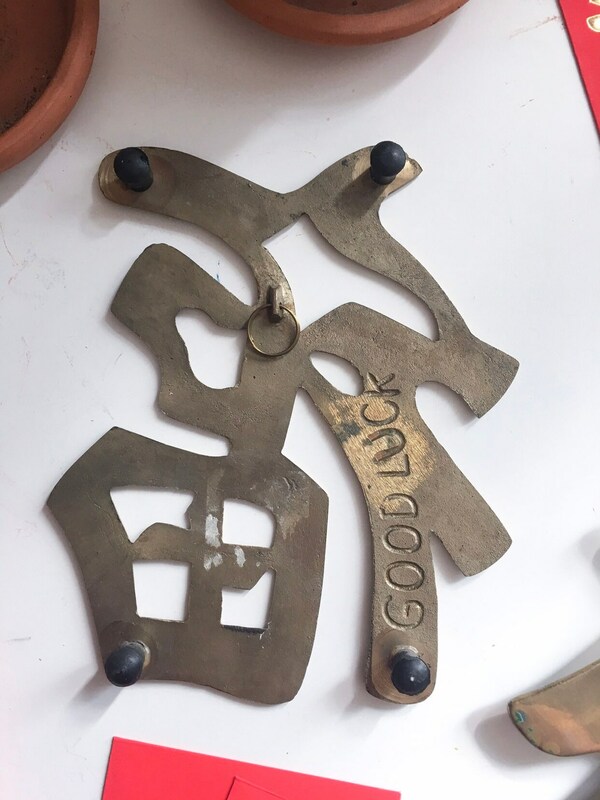 CHOOSE BETWEEN Good Luck or Prosperity -- select your option on drop-down menu. 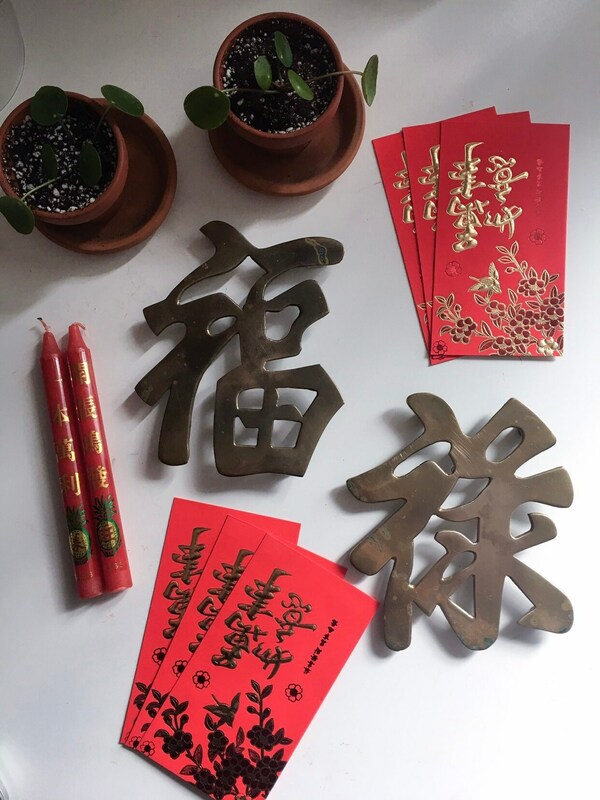 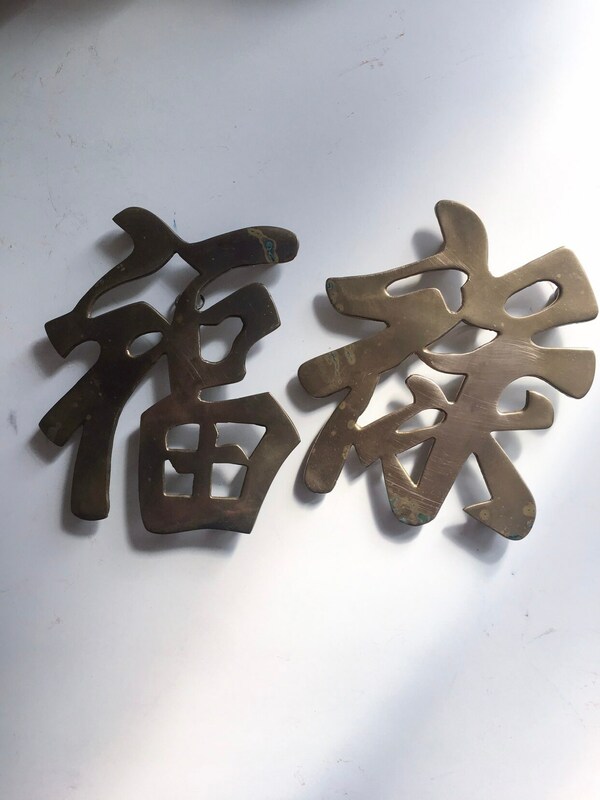 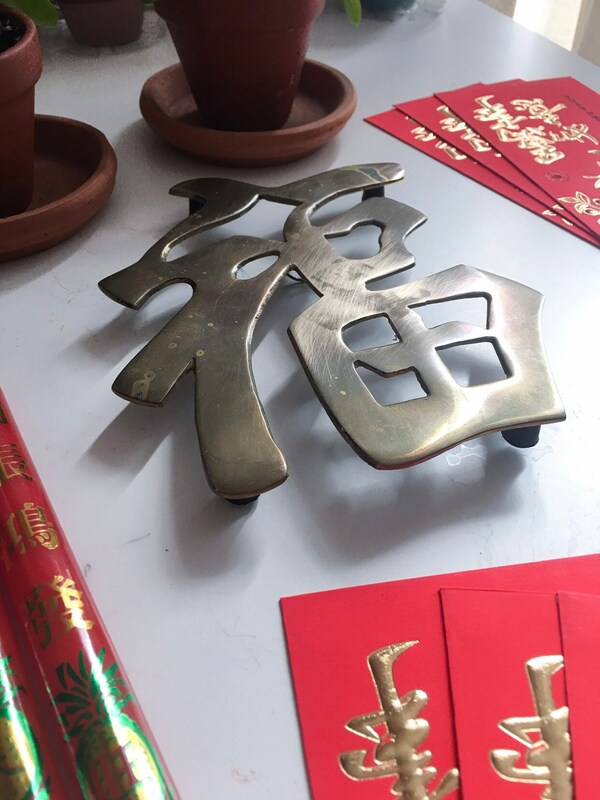 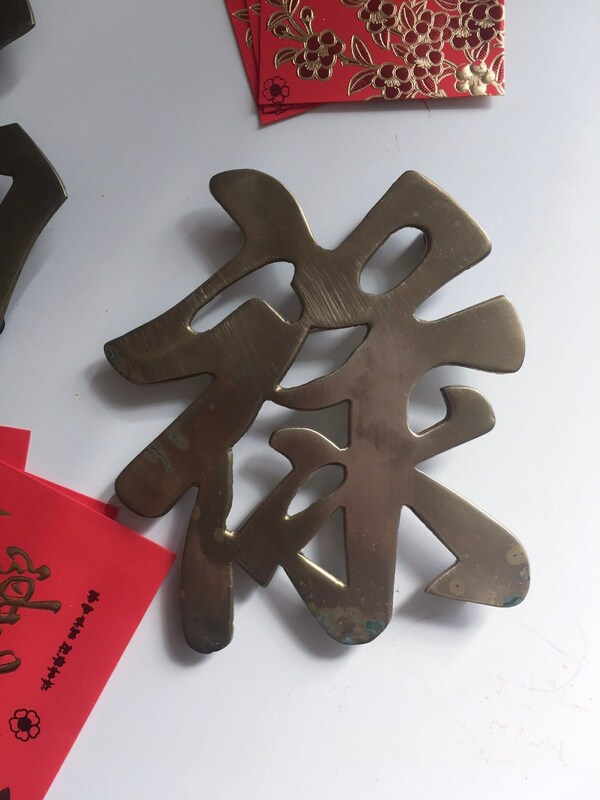 Brass trivet of the Chinese characters Good Luck or Prosperity. 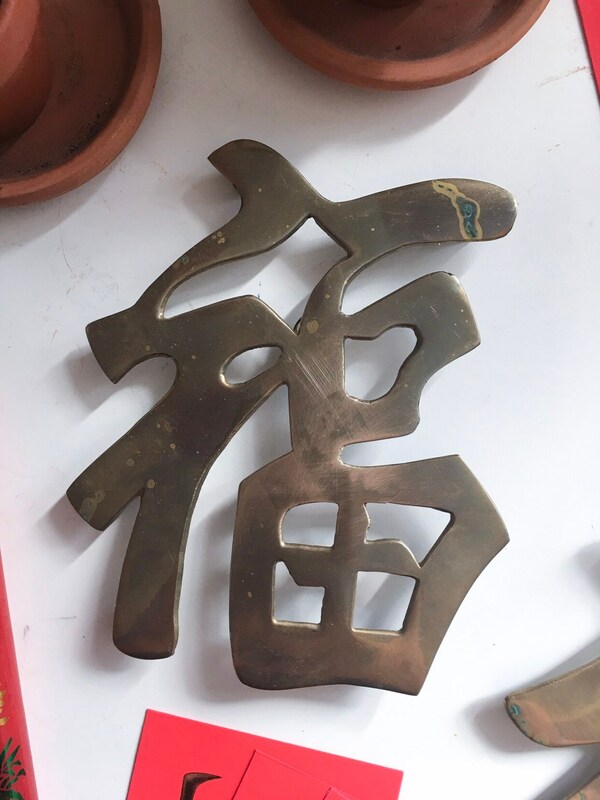 Ring in back for hanging on the wall. 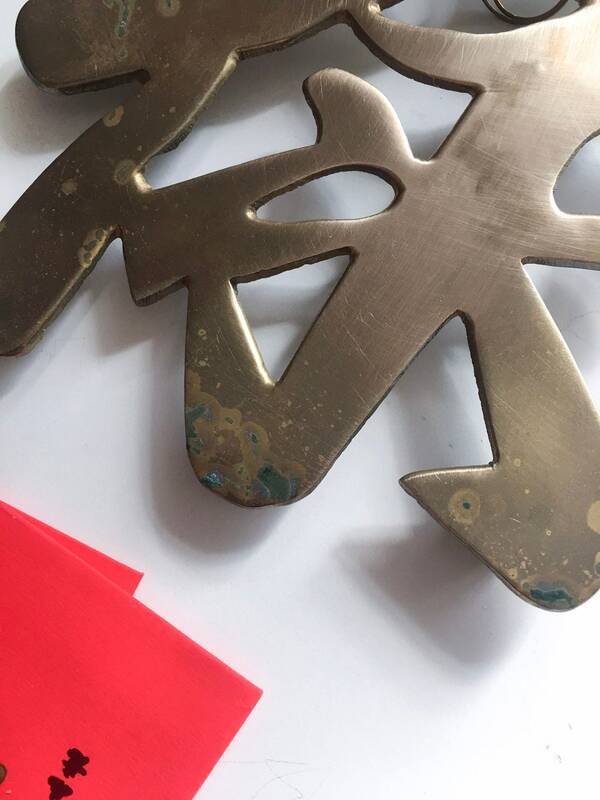 Good condition with some patina and scuff marks on both. 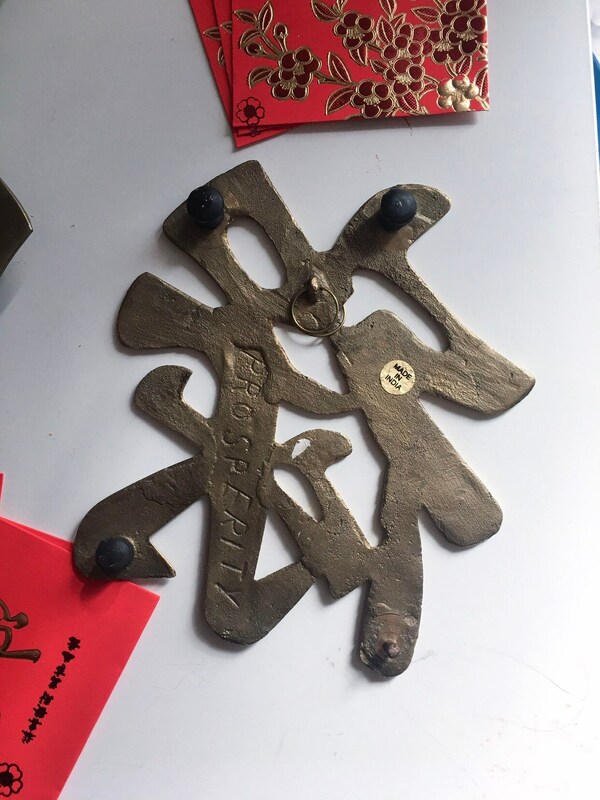 Prosperity is missing one black rubber foot cover which makes it tilt a bit; can be replaced by purchasing at a hardware store or on Amazon.